Ok folks. Today I’ve narrowed it down for you on what freeze-dried, shelf-stable and some dehydrated products that I can recommend with a clear conscience. This list will give you a little roadmap so that you don’t have to experience any costly palette snafus (I couldn’t resist saying that. Hee hee). After I list my favorites, I'm also going to list a couple of brands that I absolutely loathe in order to steer you clear of them as well. 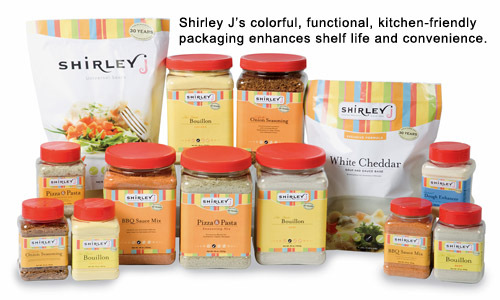 All of these products have extensive shelf-life, amazing versatile applications, great taste, etc. You'll find that you have LOTS of gluten-free, GMO free, and even organic options under the Thrive Life brand. I can't tell you how many times I've tried something with Thrive that I was hesitant to, and then there was that WOW moment. This happened with three of their products in particular...1- their powdered milk. 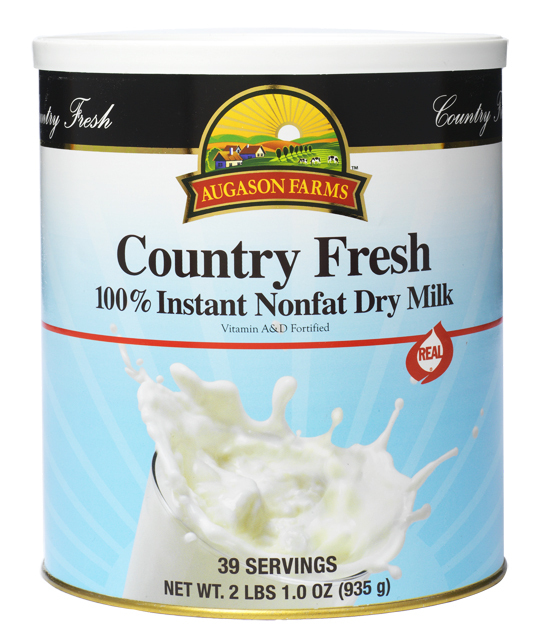 It's now officially me absolute favorite of all of the powdered milks out there (and I've tried over 30!). The next big surprise was their freeze-dried yogurt bites. I couldn't believe how great it tasted right out of the can! (they even have Greek yogurt now!). Lastly was their freeze-dried meats. I took a taste of the freeze-dried beef and I couldn't believe all of the flavor that was packed into it!! I've not hit any bad things with them, but then again, I refuse to purchase "powdered honey" (as should all of you because honey is already shelf-stable), and I refuse to purchase any ready-made entrees. (There's no reason to when it's SO much less expensive to make your own meals from shelf-stable ingredients that are as easy as "dump and heat". And I can then control ALL of the ingredients that go into my meal--something I can't do with the prepared freeze-dried/dehydrated meals). Some of my produce favorites I can mention in particular with Thrive Life Foods are their freeze-dried broccoli (the BEST I've ever tasted), FD mushrooms, Freeze-dried peaches, freeze-dried blueberries, freeze-dried green beans, freeze-dried zuchini, freeze-dried peas, freeze-dried bell peppers (including the red and green) and their freeze-dried corn. I like their freeze-dried green onions, but you'll want to make sure you're aware that it's only the WHITE portions of the green onions that are in the containers. Any Thrive Life Consultant can beat the Costco price too and they are always in the know of some specials that Thrive Life is running that month. So you'll always want to find a Thrive Life Consultant to do business with instead of Costco. 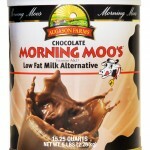 Brand: Blue Chip/aka Morning Moos aka Augason Farms (available through www.augasonfarms.com) I may not be in wholehearted agreement with how the guys in charge run this company, but there are some irresistible products that they have that are unique to them. Their powdered milk is pretty dang good...and in fact was my favorite until I discovered Thrive Life's powdered milk. I also love all of their produce up until the time I discovered the Thrive Life products. But what's uniquely theirs is their Spiff-E-Whip, their gluten-free baking mixes, Morning Moo's chocolate and strawberry powdered milk, biscuit mix, Potato Gems, taco flavored TVP, and their pancake mixes and of course their Ultra Maxi Gel that I can use as an egg substitute. The Spiff-E-Whip is low fat and low sugar and it tastes SO FAB! I can eat the potato gems right from the can. 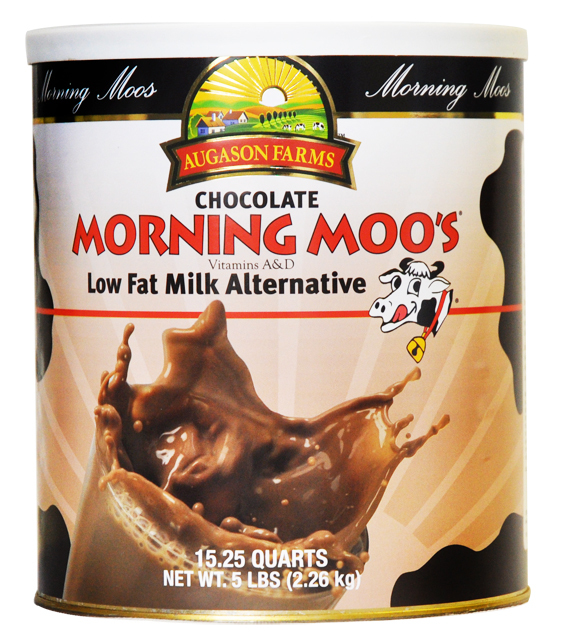 And the Morning Moos is perfect for those picky kiddos who may otherwise have a problem with powdered milk. I swear that their chocolate milk tastes like a fudgsicle! Brands that I will AVOID: ANY Daily Bread products: you cannot get any information from their website whatsoever. You have to give them all of your information on their website in order for them to send a salesperson to you—and somewhat rude ones at that. Then, and only then, can you get pricing, a comprehensive list of products, and if you’re lucky, samples. They do not advocate you purchasing one or two items. They are focused solely on you purchasing packs of products. They definitely mislead you on their serving size information on their labels as well. (just do the math and you'll see what I mean) This is definitely NOT the way I recommend doing business. I compared freeze-dried apples the other day and I had to take nearly an hour longer to reconstitute their apples than I did the Thrive Life or Augason Farms freeze-dried apples. That's not how freeze-dried is supposed to behave. And yes, the Provident Pantry apples were bitter initially until properly hydrated. Mountain House: If you’re going camping or hiking, then these products are a great resource. However, I think it’s a big mistake for anyone to spend the money and bring these products into your home with the intent of feeding them to your family long-term. Purchasing the "easy to use/make items" that go INTO the Mountain House products is much less expensive, much more versatile, and encourages a stronger level of mental preparedness in being able to cook several dishes rather than relying on just one. They are WAY too expensive for the portion sizes, the texture, and the nutritional content. They only have a place in my home for camping or hiking excursions. There are plenty of other “easy fix” options available that do not cost as much. I also feel that their packaging is deceptive—packaged in #10 cans that are barely over half full. I hope this list helps you out in your preparedness pantry grocery list. Join us on Facebook Follow us on Twitter here Subscribe to Preparedness Pro today and never miss a thing! For any questions or comments on this article, please leave a comment on the blog site so that everyone can benefit! Copyright Protected 2010, Preparedness Pro and Kellene Vaile. All Rights Reserved. No portion of any content on this site may be duplicated, transferred, copied, or published without written permission from the author. However, you are welcome to provide a link to the content on your site or in your written works. What about canned/dried eggs and butter? Are these products you use and who do you purchase them from? Thanks again for all of the great information! Just remember to come up for air occassionaly, Kimi. :-) Glad to have you with us. This is amazing! I was going to buy freeze-dried food and make an expensive and big mistake tomorrow. Thanks Kellene for this really important information. I have been telling all of my friends about your website and your fantastic email articles. I cannot put into adequate words my appreciation for what you are doing for all of us out here in cyberspace. I haven't found a site anywhere on the net better than yours and you even give us links to the others, wow!! I have purchased a ton of thrive products. Their pancake mix is very good. Expensive but includes eggs / milk. All is needed is water. Avoid their creamy chicken noodle soup. It is mostly powder for a creamy liquid with little noodles, veggies or chicken. The Blue Chip Pancake mix is yummy, and I don't classify it as expensive. It is also an add water kind of mix. You may want to try it out. I'd like to hear what else you've tried with Thrive that you've enjoyed. I've been pleased with Shelf Reliance. The customer service was great after I received a few damaged cans. They were also helpful with suggestions when I ordered over the phone. The sales rep actually told me about their pancakes. I tried the blueberries. They were very tasty. I used them in blueberry pancakes w/o rehydrating and they became soft in the batter. I also tried the ham TVP. My first time with ham TVP and it was fine. I have taco TVP from Provident pantry and I thought they were about the same IMO. I've tried. It made really good mac/cheese and the kids liked it. I've not purchased blue chip. I'll have to check it out and see their prices with shipping. This stuff really adds up $$$ when you include shipping. Thank you for all this info on the freeze dried products. When you have very little money to begin with, and you spend it on products that are not good, you stuck with it. So it is very helpful to know which ones are good and which ones aren't. Been there. Done that. What a disappointment. Thank you for doing the research and saving me lots of time and money. I am familiar with the freeze drying process and know there are questionable differences between freeze=drying facilities. I worked for a company that was the first to freeze dry medicinal plants, such as you would find in capsule form in health foods stores. It is also necessary to think of stocking up on natural plant based medicines. The company I worked for is Eclectic Institute, located in Oregon. They have been in business for decades and still owned by Dr. Ed Alstat. I am familiar with the freeze drying machines, which came from France, there are three. The herbs are either organically grown or ethically wildcrafted. I so enjoyed my ten years working in this facinating company whose standards are second to none. I left to move to New Mexico in order to be near my grandchild, son and his wonderful wife. If you desire more information on Eclectic, please contact me. Ugh! Wish I would have had this info last year when I started my long term storage. I love Glenn Beck, so I went with a former advertiser of his, Daily Bread. Expensive, but I didn't know any better. Luckily, I did not buy a big package, but still very expensive. Stupid me!! You are right, no info on the website and only salesmen. Thusly, we do have some Mountain House prepared meal in a can stuff which is salty and has super tiny pieces of meat. But since reading your wonderful blog, we have learned to buy products we can use to make homemade stuff. We bought a pressure canner on Craigslist and it is WONDERFUL!!!!!!!!!!!!!! Our canned chicken is so wonderful!! Thanks for all your info, better late than never for us!! I have been getting thrive fruits and veggies from costco.com and love the fruit. I put it in my kids lunches instead of fruit snacks. Contact a consultant and you can get the products for less! What do you do with the banana slices from Bluechip? I just tried them and I don't love the flavor when eating them plain. By the way thanks for the heads up on the Bluechip sale last week, it was awsome! Personally, I just eat them plain. (assuming you got the Banana chips that are corn syrup coated thin sliced banana chips.) We go through a can of them about once every two months. You can however, reconstitute them and include them in a muffin, pancake, or bread recipe. However, you will have a higher sugar content in the recipe than normal due to the added corn syrup. Wow! Thanks so much for this list! Very, very informative. I'm definitely bookmarking this, and also sharing it with my sister who's just beginning the long-term food storage journey. THANK YOU! I wondered what your thoughts were on Honeyville products? Thanks for all you do! I do not dislike any of the Honeyville products that I've tried thus far. They just haven't made my "wow" list. This article was more about strong partiality and "stay away from." Kellene, do you have any opinions on the church products? how do their potato pearls compare to potato gems? also, i know my mom said their milk changed recently and it's really good now. i know that sugar is better to just get from the store in bulk, but they have the best oatmeal, bean, wheat, and rice prices around that i know of. i'd love to hear your input on the cannery. good news, the potato pearls/gems are the EXACT same product made by the same manufacturer. Their milk is ok, but not on my "drink it straight" list. The other items are great so long as they are standard items such as the oatmeal, beans, etc. We live in Las Vegas and use lots of wheat - grind our own flour. We are almost out, and the place I got my wheat has gone out of business. Do you have any suggestions on where to buy good wheat? Thank you so much for your blog - it has been most helpfu! Yes, you can get your wheat through Lehi Roller Mills, Walton Wheat, or The Wheat Lady. The Wheat Lady is the only one who stores her wheat in diatomaceous earth. The others you will want to purchase and then put in your own bucket with DE. Since you're in Las Vegas, I think a trip up here to Macey's this weekend would be worthwhile. They have the Blue Chip wheat on sale for only $12.98 in 5 gallon buckets as well as a WHOLE lot of Blue Chip stuff that I love for only $5.98!!! (celery, milk, sweet corn, almond poppyseed muffins (gluten free) raspberry muffins, vegetable stew--my favorite cause of all the veggies in it including Cabbage--broccoli, spinach flakes, and the red and green bell peppers. (That's the best I can remember right now) If it were me, I sure would be making a trip to the closest Macey's in Utah for that kind of a deal. Thank you so much for all of your information. Being stationed overseas I've had to hunt and scratch to find the places I order from. Fortunately the food items I've ordered and had stored at my Mom's place are from Shelf Reliance and a few from Honeyville. Haven't been Stateside to try them yet but will be shipping out next month homeward bound. Are there any companies you would suggest on the East Coast or in the South as shipping and handling costs from cross country are expensive? Shelf Reliance does have free shipping for orders over a certain amount which helps out tremendously and I have found their customer service excellent for military stationed overseas! Unfortunately, the East coast isn't "hip" yet on the freeze-dried thing. Sorry. That's because I make my own wheat meat, which cost substantially less, and I can my own meat as well. I did mention the taco TVP that Blue Chip manufacturers though. I do make use of canned tuna, canned salmon, canned turkey and chicken when it's on sale. But the wheat meat only costs 38 cents a pound and it's a lot better than most commercially made TVPs. And of course when I can the mean myself, it's effortless and is as the result of watching out for great sales. Kellene - you said that you can your own butter? I had bought a bunch during a sale with the idea of canning it but was turned off by numerous sites that talked about how canning butter is unsafe due to the water content. I ended up putting it into the freezer. I do, however, respect you and your research and I know you are very careful about that sort of thing. What's your take on the idea that it is unsafe to can butter due to the water content? I specifically address the bottled butter controversy on my blog. Just do a search on bottled butter and you'll find the articles...the same goes for waxing cheese. Bethany, do a search on "bottled butter" on this site and you'll find at least 3 articles I've written that deal with that issue. Thanks for all the great info. I LOVE the website! I also live in Las Vegas and wanted to let Shelli know that Costco on 215 and Decatur sells Lehi Roller Mills wheat in 45lb buckets for $14.49. What about dehydrated cheese? I am looking at the cheeses we use most: cheddar powder, shredded mozzerella, parmesan, cheddar. Have you tried any of the powdered butters? 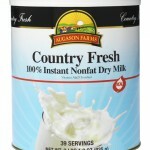 We really like dairy at our house and I want to try to keep things similar if we have to rely on our supplies. I bottle my own butter and I wax my hard cheeses, thus I don't spend money on the powdered stuff. For more info simply do a search on "cheese wax" on this site or "bottled butter". How good is Red Feather butter and cheese for storage? Just opened one of each last weekend that was 10 years old. Tasted yummy. the media has reported there is a recall on 'thrive food's' aka shelf life so you may want to reconsider purchasing this brand. I am disappointed with your negative report on provident pantry as i have bought much. Oh well if one is starving as long as it's food your eating and it won't kill you you will be ok. Pleasant hills has a wonderful canned ground beef and pork ..prices are ok. And i have read many review's on MH in which those who tried their products reported great taste. Yoders bacon is unbeleivable!! Also i just read nestle nido instant milk is good. The problem I have with Thrive is that they don't tell you, on their website, how many servings is in each can! How can one possibly know what they are buying? It seems a ripoff to me, and I cannot trust a company that omits information. I too take issue with that, which is why they aren't my first favorite. But based on taste, they made the list on only the items I mentioned. March 29: Received email stating my order was going to be shipped tomorrow and I would receive it by April 5. April 14: went to work putting the shelves together, only to discover half way through that the 2nd box I was sent was for the 18 inch wide version of the 24 inch shelf I ordered. Before you order, send an email to customer service and see the response you get. Then call their number and see how long you’re on hold. Thrive has been growing and has many more foods to choose from too! Have you ever heard of or used efoods? If so what do you think of them? Thanks. Kellene, I tried a Sample Pack of Rainy Day Foods I purchased from Pleasant Hill Grain. This is my first purchase of long-term storage foods. Previously, I've been buying canned goods, etc. locally and rotating. I was disappointed to find that much of the products had preservatives. Is this common? Are there brands that avoid/limit the use of chemical preservatives? A step further, when I buy fresh produce, I use organic. Are any freeze-dried/dehydrated lines organic? Thank you for these recommendations. I see this posting is 2 years old...are there any changes you would make to your comments above? 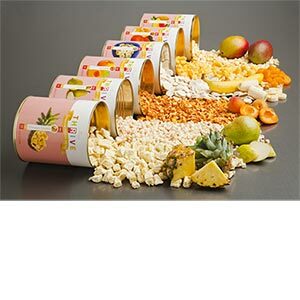 In most cases, freeze-dried food is actually equivalent or BETTER than organic. It has to be in order to endure the freeze-dried process. I do love the Honeyville Farms product as well. Will you be updating this soon? I don't think the Wheat Lady is in business, or at least the link doesn't work. Can't find them through Google either. panicked residents of a community stock up on supplies. Have you tried Grandma's country foods? I really like the country cream milk and chocolate milk, but haven't tried much of the freeze dried. One thing I would really like is to get full cans to save space.